Almost five years ago, we posted about this cottage. 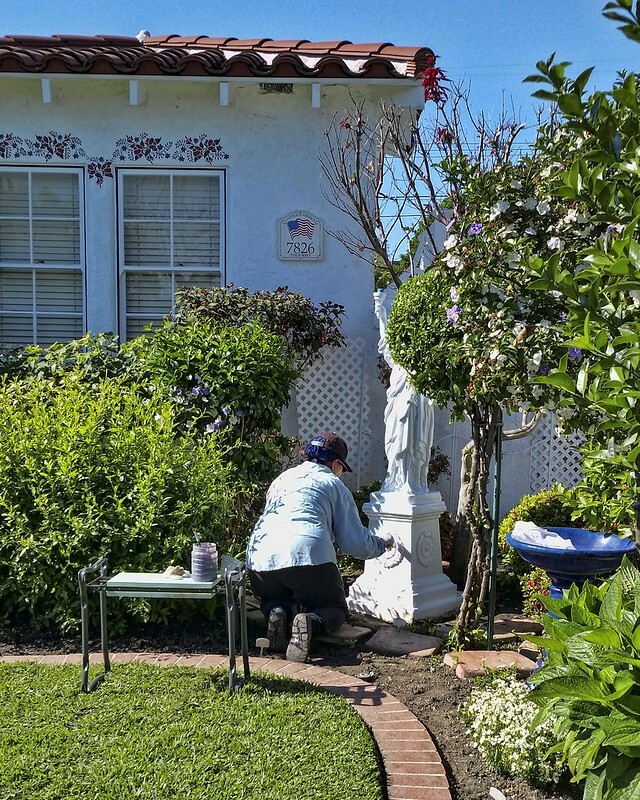 This woman keeps her yard perfect with little touches of red, white, and blue colors. Tucked away in the corner is a small Statue of Liberty that is lit up at night. Today as I passed her, she was touching up the paint. It is a small thing, but I was pleased to see it being done. "Let every nation know, whether it wishes us well or ill, we shall pay any price, bear any burden, meet any hardship, support any friend, oppose any foe, to assure the survival and the success of liberty".